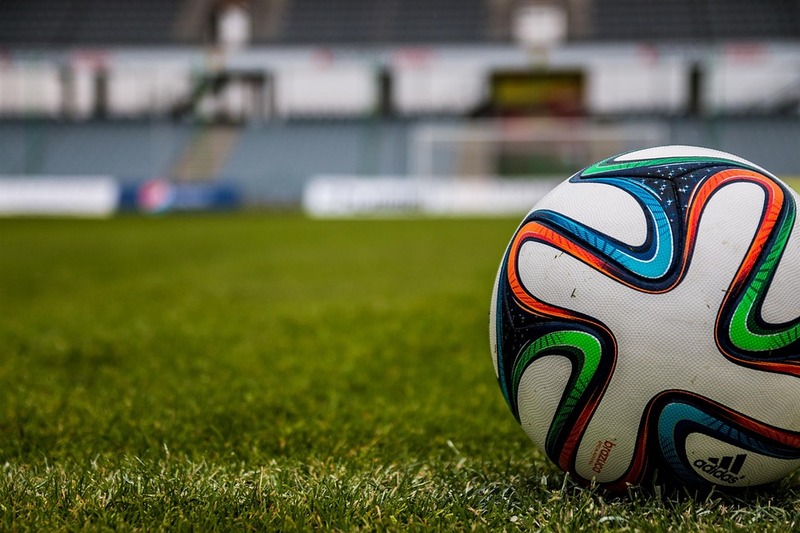 Soccer intelligence basically refers to the strategic aspect of the game where players are guided by coaches to think on their feet and make decisions with improved precision and accuracy. Basically, soccer intelligence revolves around players identifying their choices before receiving the ball; picking out the right option of the many available to them to advance the ball; and maintaining possession of the ball during the next playing phase. Coaching methodology is another crucial aspect of soccer intelligence. A coach would not be able to gauge the comprehension skills of the players if they don’t ask them questions. How often the coach interrogates their players; how much freedom does the coach offer to their players to think and decide freely; etc. 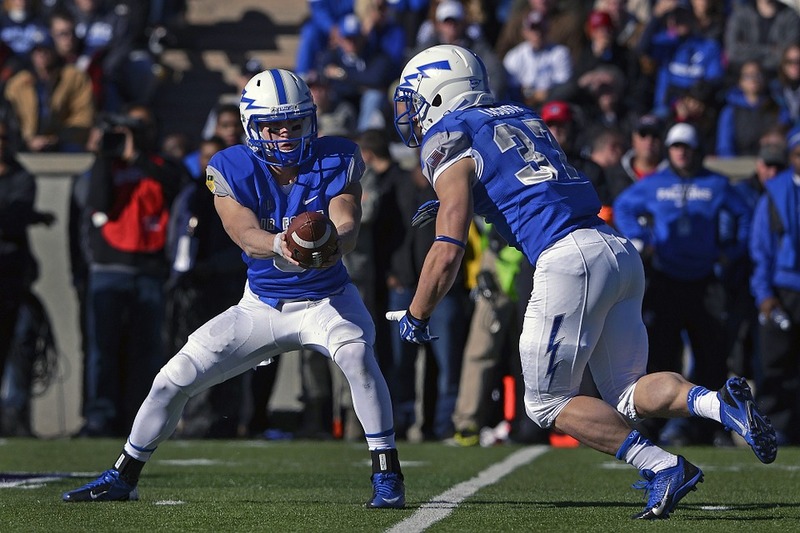 Generally, football coaches tell players off and on the field to follow specific instructions. The player obeys the coach’s orders, even if they do not necessarily understand the cues. With this coaching style, it’s tough to expect players to think independently or develop intelligence of their own. To overcome this, the directive should be for the coach to engage with the players at a conversational level as quickly as possible. By doing so, the coach would learn what the players think and can devise game strategies accordingly. During half time, players must be let to run the show. The coach should stick to asking players questions and not reflect on what happened on the field, particularly when the players themselves know what transpired on the field. This approach, with time, shall help players think independently; identify situations and improve upon them, if needed. The coach, of course, will not be a silent spectator. They would be offering advice too. But the instructions would not be coming from a single direction anymore. Everyone would be given an opportunity to constructively add to the discussion. This discussion off the field shall also help players come closer to each other and get talking between them more. Modern-day soccer, particularly youth soccer, has this issue where players play but don’t interact among themselves much on the field. When players start talking to each other during play, the coach would not have to spoon-feed players from the other side of the line. Players who can assess the game cerebrally more quickly compared to their opponents would play faster and always be a step ahead. Soccer intelligence development should be done when the player is young, around seven to 10 years old. The exact time to start training would depend on the individual player. 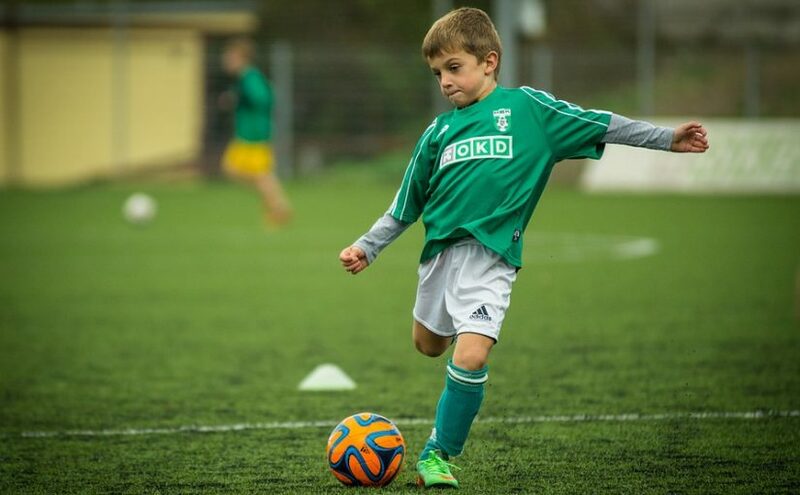 Some players may need more time, which means the training can happen at a later age too. Learning martial arts can be fun at any age. However, it is even more exciting if you are a school kid. For them it is like embarking on an exciting journey of self-discovery. After having seen all their superheroes on cartoon shows and movies, learning martial arts gives them a feeling of emulating their favorite comic book heroes. Martial arts for kids has also become important in today’s world because of the safety factor it provides to children. We are sharing a few useful tips that will help once you decide to enroll your child for a martial arts class. 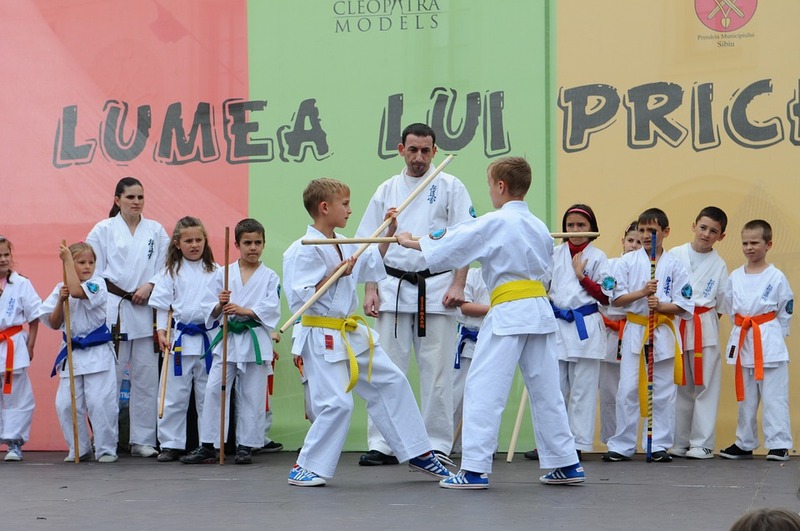 It is important that you enroll your child in a martial arts school where children are taught separately from adults. This is because children would have shorter attention spans than adults. Similarly, there are certain exercises that children should not be made to perform. Moreover, it would also be more fun for them to learn along with their peers, rather than with adults. It is important that as parents we build up enthusiasm in the child for learning martial arts. For example, if you are enrolling your kid in a karate class, before the training commences, try discussing certain interesting anecdotes that you had encountered as a kid when you had enrolled in a karate class. You can also show them a few videos online about kids who have achieved big things in martial arts. This is perhaps the most important thing that you need to do when you send your kid to a martial arts class. Get them all the protective gear that is required. They should be taught how to put on all the gear in the right manner, preferably by the instructor. As a parent you should never compromise on the quality of the gear because of the price. Remember, when it comes to protective gear, the only purchasing criteria should be quality. All said and done, however confident you may feel that your child is, there is nothing wrong in him or her feeling nervous when heading down for their first martial arts class. Remember martial arts for kids is something very exciting, as well as new. They are bound to get nervous during the first day. As parents it is your duty to encourage your son or daughter to enjoy the process, without worrying about anything else. While encouraging your children is a good thing, you must also remember not to push them beyond a point. This could so easily lead to your child getting disinterested in the classes. Touch Football Uniforms are available for teams of all ages. As a sport growing in popularity across Australia, there are many touch football leagues and clubs forming. With this in mind, local sports apparel shops and printers offer a wide selection of uniforms for these teams. This includes shirts and shorts, along with custom prints and even embroidery for logos. Many printers even offer convenient upload options at their sites –where teams can send over their respective logos, member names, and numbers and even sponsor information. They even offer generic templates for shirts, which include stock imagery and graphic designs for team uniforms. • Classic black and white logos or graphics — easier to scan and print due to simple colors. • Silkscreen and iron-on — these transfers are perfect for t-shirts, tank-tops, or uniforms that have more than 2 colors within their logos, team names or marks. • Customized apparel — touch football uniforms with customized logos, numbers, player names, colors, themes, designs and more. • Fabric selection — cotton, polyester, and other fabrics available for team uniforms, promotional events, family reunions, corporate functions, social gatherings and more. • Cost-effective services — design, prints and anything you need within time and budget. Sports are truly a way of life for most Aussies and New Zealanders. From soccer and cricket to touch football, there are so many ways to get the right uniforms for your team. In fact, you can check the Web to find the best sports apparel printers in your area. You can also speak to other teams to find out where they had their uniforms printed. One of the best ways is also to visit any local sport sprinting shop. This allows you to access so many different sports logos, designs, and graphics. With experienced designers and printers, your items will be printed as specified and desired. Whether for league play, practices, or sports for fun — having the right touch football uniforms is a great way to display team pride and spirit! Rugby players come in all shapes and sizes depending on age and area of specialization. Forwards are usually the biggest in terms of height and size while backs may be shorter, but faster. Obviously, teenage players are much smaller than adult players, so there is need to buy age-appropriate uniforms. Since every player needs well-fitting uniforms, there is need to measure the height, waist and chest size of each player before ordering uniforms. Women have also started playing rugby, and the uniforms they wear are different from men’s uniforms. Whether you are buying uniforms for a male or female team, it is important you specify exactly what you are seeking when placing the order. Rugby uniforms were traditionally made of cotton and polyester blend, but there are special materials nowadays. New materials are stronger, easier to wash and long lasting. Furthermore, they do not fade, which means they can be used for many years. Since you want the best for your team, be sure to buy uniforms that are made of the best materials in the industry. Obviously, different vendors will quote different prices. Since you have a limited budget, be sure to obtain quotes from a number of firms for the type of uniform you are seeking and compare them. Since there are many cost components, you should get a breakdown of these quotes to ensure you know what the uniforms cost as well as the printing cost. If a firm charges a lot of money for printing, but has affordable uniforms, you can buy them and hire a different firm to do the printing at a lower cost. Many firms nowadays offer free shipping, but only within a given radius. You can save money by ordering from a company that offers free shipping directly to your office. Starting a pee wee football team is no joke. It requires hard work, commitment, and resources. Fortunately, there are corporate and sports organizations that provide support to these teams that you can team up with. Therefore, if you are planning on starting a pee wee league football team, here is how you can go about it. 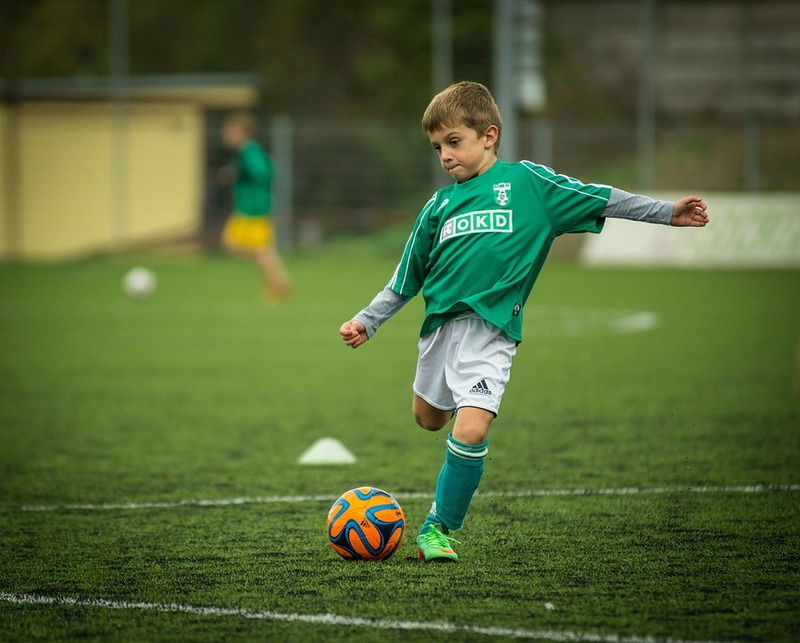 There are a number of ways that you can start your youth football team. You can either follow the grass-roots route or associate with other teams. The grass-roots route is longer and more cumbersome than the affiliate one. Therefore, we recommend that you go the affiliate way. Many organizations, both social and commercial have programs that support youth football leagues. These organizations follow the rules established by the NFL’s USA Football. The USA Football is a body responsible for governing youth football in the United States. 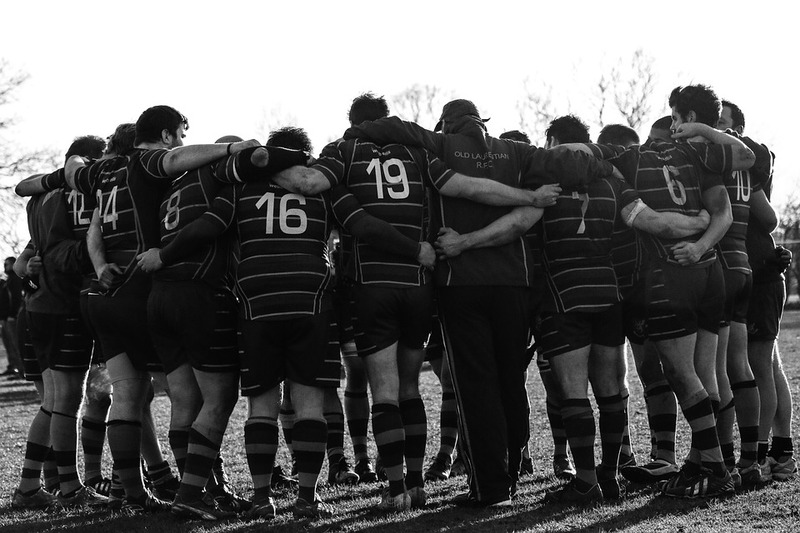 Affiliating with these organizations enables you to gain access to experienced coaches and officials, liability insurance, assistance with background checks, safety information, and ongoing training. Every team must create its own organizational structure for things to run smoothly. This structure should comprise of a board, coaches, and volunteers. You also need to look for competent and experienced personnel to fill the areas of marketing, registration, and concessions. Also, we recommend that you establish a philosophy to be followed by the team for it not to lose focus. It is vital that you develop a detailed organizational structure as this will make managing things easier. Once you have established an organizational structure and the board, coaching staff, and other essential personnel are in place, it is time to start player’s recruitment. One of the decisions you will have to make is the number of players you want. This is an important decision and you need to make it wisely because it will affect things such as the number of coaches and support staff you will need and even the amount to be paid for registration. To make the best decision, consult with the governing organization that your team is affiliated with about the minimum and maximum team size allowed by the league. Now when you are ready to start recruitment, place signs around the neighborhood and any other place where you will be allowed to. Also consider recruiting via social media through sites such as Facebook, Twitter, and Instagram. Social media will get the message to a wide number of people much faster than other means. Also, consult with other teams to make sure you follow all league practices. After associating, creating an organizational structure, and recruiting players, you will now have to promote and market your team. 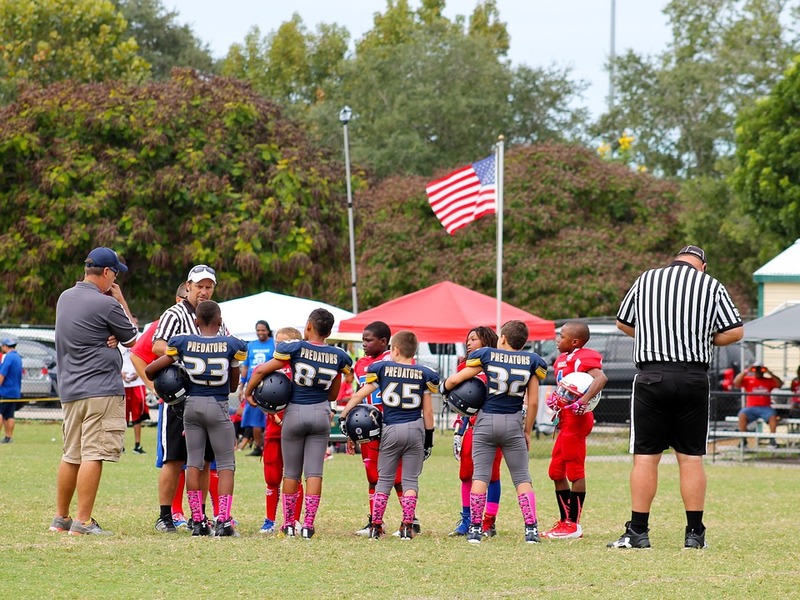 We hope that these steps will help you start your pee wee league football team. As mentioned earlier, rugby is played by all manner of people, ranging from children, teenagers, adults and senior adults. There is also women’s rugby. The uniforms worn by players in these demographics cannot be the same. Therefore, the age, size and gender of players in a team must be considered when selecting uniforms as this will help to ensure you buy uniforms that fit your players perfectly. Ideally, you should take shoulder, height, chest and waist measurements of each player in the team to ensure you find uniforms that fit each of your players comfortably. While cotton is the most comfortable material used for making clothing and sports apparel, it has a number of disadvantages. For instance, it has poor strength and gets stained quickly. When playing with cotton jerseys, they can easily get torn. Furthermore, this material usually absorbs and retains sweat, which means players usually end up with soaked uniforms that can lower their ability to play the game comfortably. The best uniforms are usually those that are made from a material that is easy to wash and dry, and cannot get stained easily. 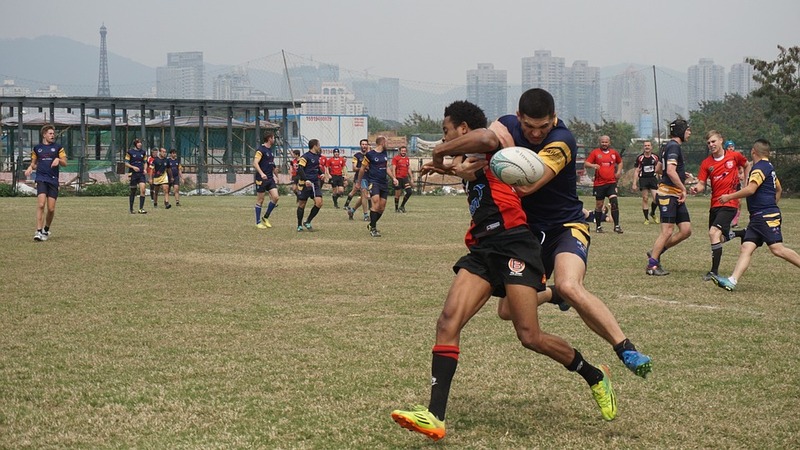 The top rugby uniform manufacturers nowadays use the best materials in the industry, so you may want to choose a popular brand. You obviously have a limited budget. Therefore, you should take your time to compare costs and pick the highest quality uniforms that are competitively priced. Do not just look at the top brands if they quote exorbitant prices as less-popular brands may have the best deals. The ideal vendor should offer printing services at competitive rates. After all, you want your team name and logo of the sponsor as well as player names to appear on the uniforms. Therefore, be sure to obtain quotes and compare them before making a decision. As Pee Wee League Football will attest, the game is the most physical of all games, easily eclipsing hockey or even basketball. Football may not be as physical as kickboxing or fast-paced as the car races, but it does require extreme endurance. No wonder the helmet is so essential to protecting yourself when you’re part of the game. And that includes the thick body appendage that resembles the kind of insulation that keeps families safe from winter. Established in 1869, American football, also known as gridiron, has a Pee Wee League Football version. This involves the youth aged between five and 14 years old. At this stage, the game doesn’t get any less physical or arduous. Thus, wearing the proper uniform is essential to safety and endurance in the field. The mouth guard is just as important here as in any other age range. After all, it’s one and the same game with identical rules such as making the touchdown. From across the border, the same game is played by Canadians and referred to by the same name. However, there are a number of differences in as far as the rules are concerned. Just some of these are the size of the field, the number of players per team, and the number of downs. Also, while the game is simply the most popular sport in the United States, football takes a secondary role after hockey as far as Canada is concerned. The game is worth US$10 billion yearly in the USA, with the Super Bowl easily the most anticipated sports finale annually in the country. The sport has come a long way since two American college teams first played it. The game that rugby built has definitely come on its own. It’s almost as if the game ripped itself from Adam’s ribs. So demanding and utterly perilous American football is that in 2013, the National Football League made a US$765-million settlement for concussion-related claims made by 18,000 retired players. The positive gesture is a major indicator as well as an acknowledgment of the sport’s extreme body requirements. This explains why NFL athletes are paid astronomical salaries for all the sacrifices they make during training, practice and actual games. Kickboxing might look more physical and yet it doesn’t demand all the running as well as the falls associated with the king of all American sports. Football is simply the most American of all games especially if you consider how it doesn’t get as popular in other countries. Soccer uniforms need to be comfortable, strong, easily to wash and durable. Therefore, the first thing you should check is the quality of material. If you are not familiar with the attributes of different types of materials, you can read about them to ensure you make a decision that is well-informed. You might also want to experiment with the latest materials in the industry. Another reason why soccer is incredibly popular is the fact that it can be played by players from all age groups. It can be played by kids, teenagers, young adults and seniors. Since these players have different sizes, it is crucial you consider the average age and size of each player in the team before placing your order. Soccer is also popular among women. It is played by women on both the amateur and professional levels. Since women cannot wear uniforms meant for men, or vice versa, it is important you buy uniforms meant for the gender of your team. Uniforms for soccer players usually come in two formats, long and short sleeves. Long-sleeve jerseys are great for the cold season while short sleeves are perfect for matches that are played in the summer. If you can afford to buy both, do so. If you are working on a budget, however, you can buy a short sleeve jersey, which can be worn together with an under armour. Uniform prices are a key factor to consider, and can influence your buy decision. Ideally, you should obtain quotes on the unit cost of the uniforms and compare them to identify the most affordable supplier of the preferred uniforms. Soccer is a sport that can be played by both men and women. There are many successful ladies teams around the world and just as many men soccer teams. Before you buy uniforms for an entire soccer team, you must bear the gender of the players, for whom you’re buying the uniforms, in mind. There is nothing as embarrassing as a men’s team wearing uniforms meant for a women’s team, or vice versa. Players in a football team come in different sizes. Some are taller while others are shorter. Some may have broader shoulders, while others may have smaller shoulders. The waist size of players also differs greatly. That is why it makes sense to measure the height, waist size, chest size and shoulder size of each player before purchasing uniforms for them. This will go a long way in ensuring you get perfectly fitting jerseys and shorts for each player on your team. There are two types of sleeve lengths for soccer jerseys. The first, and most popular, is the short sleeve jersey design. Long sleeve jerseys are also popular, but not as much as short sleeve. When playing in the cold, the best jerseys for the team are long-sleeved jerseys. However, players with short sleeved jerseys can put on an under armour before they put on their jerseys. This type of layered clothing will keep them warm. As mentioned earlier, there are many brands of uniform manufacturers and most of them have large research and development programs. These firms normally come up with new materials for sports uniforms. The desirable characteristics include; lightweight, easy to wash, fade-free, quick to dry and easy to absorb sweat. When buying uniforms for your team, you may want to look at the latest materials on the market and place an order for uniforms made from that material. The cost per unit of each uniform matters a lot. 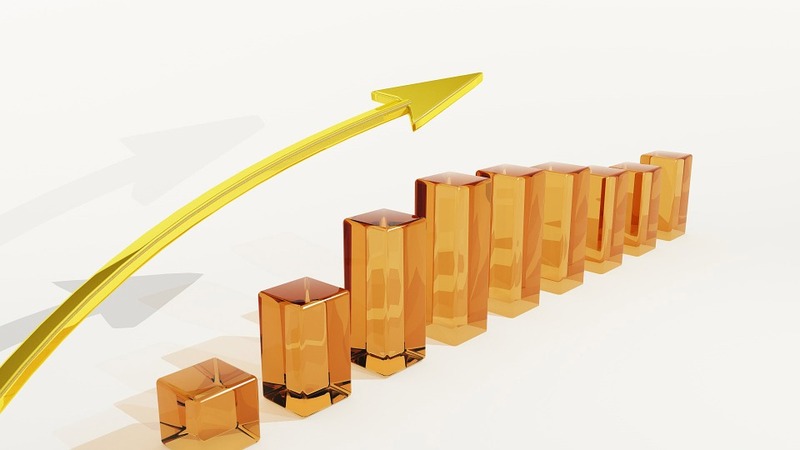 Ideally, you should get quotes from a number of firms and compare the quotes. After all, you want to spend the lowest possible amount of money on the highest quality products. Women have had a desire to take part in sport since the 19th century. Although, this idea was initially not welcome by men, it was condoned when Netball was presented as a “women only” sport. So women started playing netball towards the end of the 1900s. However, during this time women were not permitted to show their legs and so they wore dresses typical of that time. These dresses were long , almost floor length and had big puffy sleeves in the leg of mutton shape. As you would imagine, this attire was incredibly uncomfortable to move around in, let alone play sport. This lead them to create netball skirts and uniforms. These kits resembled school uniform worn in those days. So women then began playing in woolen tunics that still covered almost the entire leg. The parts of the leg that were not covered by the tunic was covered up using woolen stockings and socks. So while this solved part of one problem, it also created another. Women could now move around a bit easier, however, they were dreadfully hot when playing. Later on the uniforms changed with the times. The tunics were replaced by short pleated skirts and bloomers were traded for sport shorts. The blouses were also cooler as they were made from cotton, however, they did have stiff collars, much like those of men. The socks were still worn with this kit, however, it became thinner, lighter and more breathable. Then came the 1990s. This is when netball uniforms took a drastic turn. Skirts were short and pleated, bloomers were no longer worn and shirts were replaced with blouses. The blouses had bibs which made it easier to identify the different players. The incorporation of press studs made it easier for change over. Now days uniforms are available in various colors and designs. It has obviously become more streamlined and adapted to the game. This means that uniforms are now more flexible and versatile. Players can move around with ease and freedom, unlike the initial attire that was worn in the 1900s. This also means that performance should be better, since players are not restricted in any way. Modern kits now contain support for the major joints such as the elbows, knees and ankles. So you do not need to worry about the joint impact while playing the game. Just as the game as evolved significantly since it began in the 1900s, so has the attire that is used. The introduction of this game has provided a source of entertainment and activity for women all around the world. Posted on December 19, 2016 Author chrisCategories SportsLeave a comment on How Netball Skirts Have Evolved?